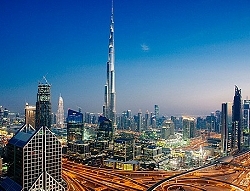 Eurovision opens new business hub in Dubai. Geneva, March 2016: Eurovision has announced the opening of a new business hub in Dubai to support its growing activities in the region. Jorge Simao has been appointed as Bureau Chief of Eurovision Middle East. Based in the Dubai Media City, this new expansion confirms the EBU as the global leader in advanced, innovative, secure and interactive media solutions. Eurovision is already active across the region and counts a significant number of the major players amongst its customers. "This is a logical step in our strategic development and we are delighted to be reinforcing services to our valued customers in the region while creating and managing new opportunities to develop Eurovision business beyond its current activities", said Stefan Kuerten, Director of Eurovision Services and Sports Rights. "Eurovision Middle East will also serve as a bridge between Europe and Asia and a gateway to Africa," he added.